Cut Tuna into small cubes and mix with all ingredients(except the iceburg lettuce) in a large bowl. 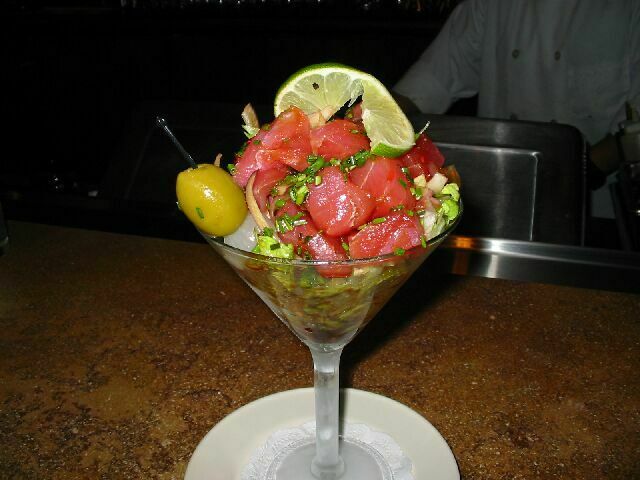 Place Tuna Mixture over 1/2 cup of lettuce inside a chilled martini glass. Garnish with a large green olive, a pearl onion and a lime wheel.